In my opinion men’s fashion can be more classic and long-standing than its female counterpart, the cuts are more enduring and the underlying style more deeply rooted. This means putting your money into well made, classic pieces is the best way to approach your closet, since you’ll be able to wear them for years to come. So what, do you ask, should today’s modern man have in his closet? Once you’re out of school, a good suit is a must. Interviews, weddings, funerals, work/charity events, and perhaps even the occasional date (think Valentine’s Day/Anniversary) can all call for a suit. Black, navy or charcoal are all a good choices, though I must admit that I’m a sucker for a great pinstripe suit. I’m also a fan of a classic three-piece suit, I love how they still manage to look clean and put together even with the jacket off and the sleeves rolled up. Button-downs are extremely versatile and have a place in any well-rounded wardrobe. Pair with slacks or a suit for (semi) formal affaires, with jeans and dress shoes for Friday night cocktails or untucked over well-worn shorts with loafers (sans socks) for summertime. Like I said, versatile. Depending on your build and lifestyle, different styles will suit you best. 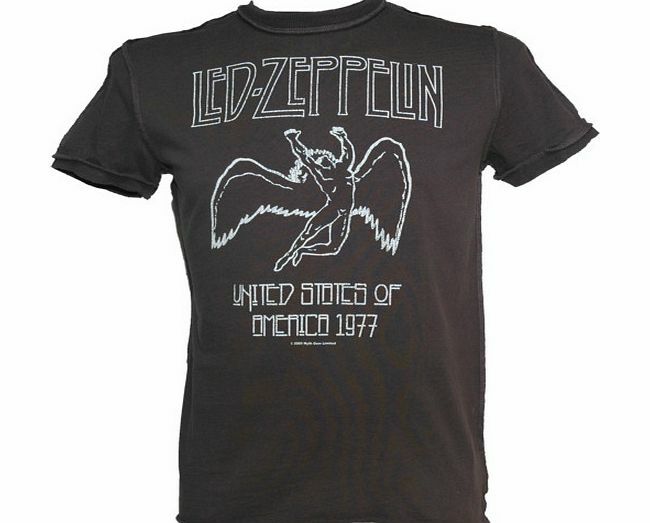 For his downtime my brother loves vintage rock shirts, like the one above, and with his build (tall & muscular but lean) they suit him perfectly. My dad favors the Robert Barakett shirts that Nordstrom carries because they’re soft with a relaxed fit and can keep up with him whether he’s walking around downtown or gardening (oh, the joys of retirement). And while he may respectfully disagree, I have to say that in my humble opinion my boyfriend looks the best in the Lacoste V-Neck Jersey Tees. So take your significant other, sister, mom or friend shopping with you and try on some different styles. To each their own! Polo shirts are a great middle ground between a t-shirt and a button down. They can add a bit of structure to a look while retaining an overall low-key air. Throw one over jeans with loafers or pair with shorts and flip-flips. You can even pop that collar if you’re in the mood. Like t-shirts and button downs, these come in all shapes, sizes and colors. Once you’ve found a brand that fits you perfectly, you can order online to your heart’s desire, but you should definitely put in the in-store research before getting mouse happy. A complete closet should contain a few types of bottoms, namely slacks, jeans and shorts, if applicable to your climate. At least one pair of black slacks are a requirement, however depending on how often you dress up you should consider investing in multiple pairs. Charcoal, navy and a neutral color like khaki or tan are right behind black in importance. Wool, cashmere and linen for dressing up and seersucker, cotton and linen blends for play. When you hit the store for any pants shopping be sure to take the shoes you’ll most frequently wear with them. A good pair of slacks or jeans can be expensive, so you don’t want to buy them too long and ruin them in a matter of weeks by walking all over the hems. Also, keep in mind the tailoring is a great option, it’s fairly inexpensive and can make your pant last much longer. The key for mens accessories is finding quality, classic pieces that can be worn season after season. Unfortunately this may require trips to multiple stores. I know – I’m sorry! Take the time though, as much as it takes, and you wont regret it. Now before I leave you to your shopping adventures, I’d like to make an introduction. If you’ve never heard of The Sartorialist, let me introduce you. Boys, meet Scott Schuman, the brilliant and fashionable photographer behind the wildly popular street style website The Sartorialist. These days Mr. Schuman focuses his energies shooting photos of the unique and fashionable men & women he sees on the streets. New York, Milan, Paris, Sydney, Buenos Aires, London, Rome, Beijing… If you have any questions about pocket squares, popped collars, sleeve length, outerwear, hats, color combinations or men’s jewelry, he is your man! Love the aviator sunglasses. Love the v-neck shirts. Love the gold watch. Take notes kids, this is how it’s done!